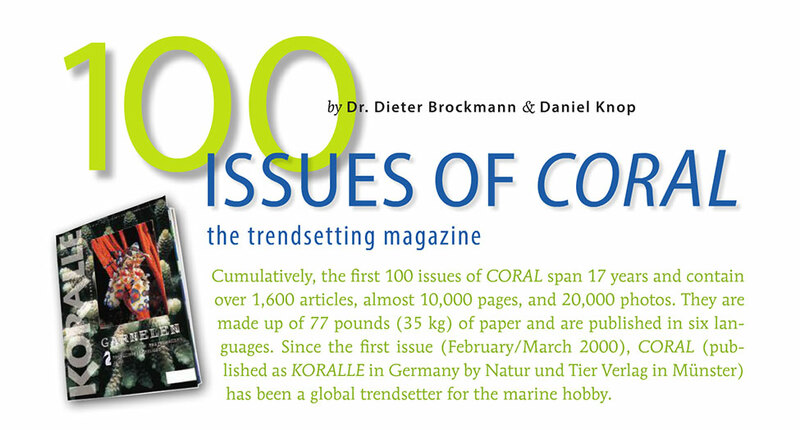 100 issues of CORAL, as published in the January/February 2017 issue of CORAL Magazine. 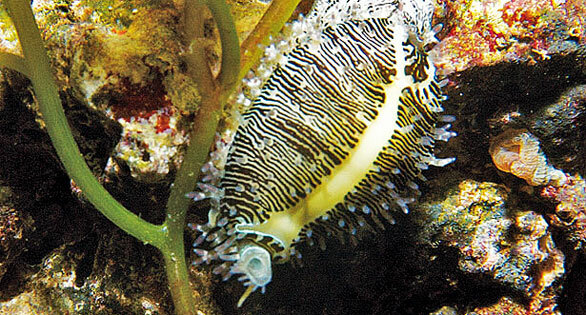 We’d like to make our readers aware of an error in the article “100 Issues of CORAL,” printed in the January/February 2017 issue of CORAL Magazine. In the second-to-last paragraph of the article, page 17, we included an incorrect link. The highlighted link is invalid and will not work. 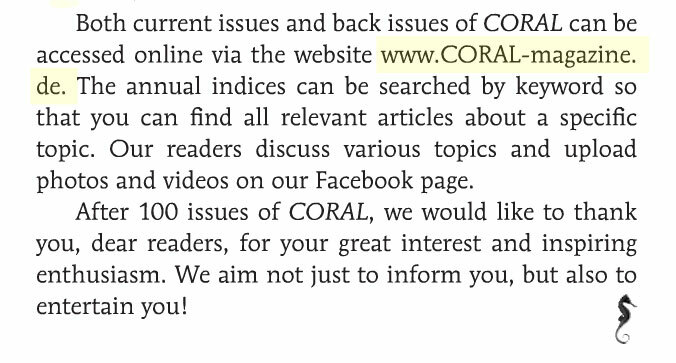 Try as you might to visit www.CORAL-magazine.de, it won’t work. Don’t be tempted to try other permutations, like adding a .de.com afterwards or .com.de, as you’ll likely end up someplace you don’t want to be. The correct link is www.koralle-magazin.com; basically the domain was inadvertently translated into the English versions of the words. The link itself has been corrected in the digital edition, and will click through properly.